Hunter’s are still going strong as THE rainboot to rock for fall. Victoria’s Secret angel Alessandra Ambrosia recently threw hers on to run errands in NYC (see above). 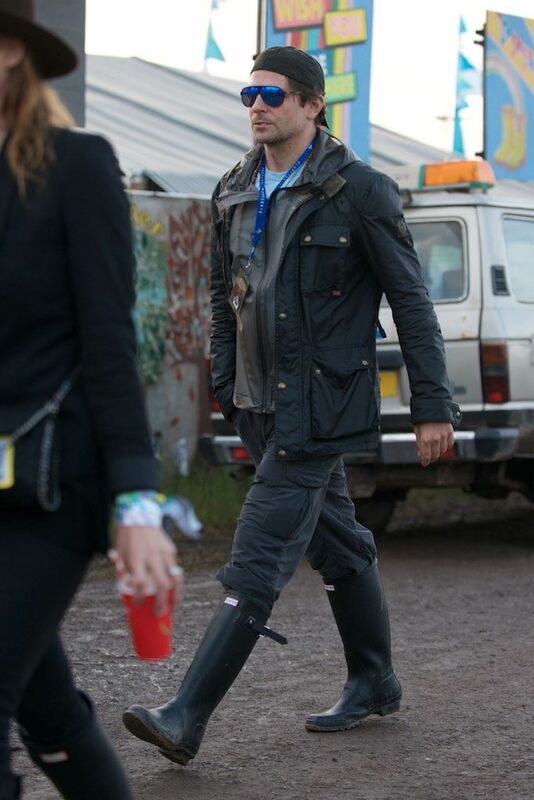 And they were E-V-E-R-Y-W-H-E-R-E at this year’s Glastonbury Music Festival. Poppy Delevingne in haute festival couture. Perfectly down to earth, Bradley Cooper. And the cutest for last, Instagrammer Living The Q Life shoots adorably fall-esque photos of her daughter rocking the Hunter reds.